Having lived in rented flats all her life, recently married Taipei native Chiang Ming-yun, dreams of buying her own home. “When I was growing up, we had to move several times because the landlords wanted to sell the places we were living in,” says Mrs Chiang, an office worker. But she and her husband, who make what is considered a good combined salary of 90,000 New Taiwan dollars (NT$) ($3,100; £1,906) a month, are starting to realise it would be very difficult for them to buy a home. Average prices, even for older flats in the suburbs, are about $345,000. “We would have to not spend any money on entertainment or eating out, not get sick and hope our parents also stay healthy, and most importantly, not have kids, and make sure we keep our jobs,” Ms Chiang says. Owning a home is the dream of many in Taiwan, but that dream is becoming unattainable for some, as speculative buying has driven prices to unaffordable levels. This has become a big problem as young people are putting off starting a family – exacerbating the already low birth rate – and many are growing increasingly resentful of this symptom of the widening wealth gap. In the last couple of years, groups have been formed to lobby for housing affordability and protests have been held. 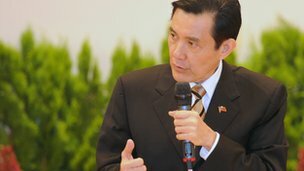 The last presidential election saw President Ma Ying-jeou re-elected on a much smaller margin of votes – partly because of widespread discontent over this issue. Government officials and analysts say prices have soared because overseas Taiwanese, China-based Taiwan businessmen and rich local residents scared off by the financial crisis from investing in the stock market or new businesses have put their liquidity in the property market. 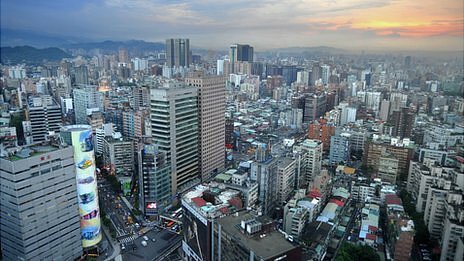 Taiwan’s low interest rates – averaging 1.9% in recent years, a significant cut in the inheritance tax in 2009, and most importantly, the island’s unusually low property tax rate have made property investing attractive and caused a lot of funds, including from overseas, to be poured into the market. The belief that there will be an influx of Chinese investors as relations with China continue to improve has further fuelled speculation. As a result, growth in Taiwan’s property prices ranked sixth fastest in the world from late 2006 to late 2011, and fourth fastest in Asia, according to a CNBC list compiled with research by global real estate consultancy Knight Frank. Data collected by Taiwan’s major property developer, Cathay Real Estate, shows average housing prices on the island rose by 34%, with Taipei’s prices jumping by 50%, in the past four years, despite the economic downturn. While Taipei’s average price – $7,600 per sq m for new homes – seems low compared to more expensive Asian cities – another lure for investors – wages here are lower and have not increased in 13 years if inflation is factored in. The average home in Taipei now costs about $700,000 – 14 times that of average annual wages, so many adults, including couples married with children, continue to live with their parents or in-laws. In June last year the government began implementing a luxury tax to control speculation. People who sell property they do not live in within one year of purchase must pay 15% of the sales price and 10% if they sell within two years. Transactions have since dropped by about 30% in Taipei, but prices have barely fallen. “It’s because investors are holding onto the property to avoid paying the tax. And they are refusing to sell low. So many of the apartments are sitting empty,” says Andy Huang, manager of research for Yung Ching Realty Group, one of Taiwan’s biggest real estate agency chains. An estimated 1.5 million residential units in Taiwan are unoccupied, or 20% of the total. Many are believed to have been purchased by investors. With growing public disgust, the government has also reduced the amount banks can lend to investors. But critics say the government is not doing enough. They say the government should scrap the current pro-owner and investor tax system where unlike many developed countries, property taxes are not calculated based on the actual value of the properties, but a much lower rate set by local governments each year. This allows investors to wait out the two-year luxury tax period, and even speculate again after that. The government on 1 August began requiring transaction prices be made public for the first time, hoping to use the information to assess annual property taxes. But it backed down after strong opposition from homeowners, the real estate sector and lawmakers supporting them. Government officials say they still hope to eventually assess taxes based on transaction prices. But if history is an indication, it will face a tough battle. Similar attempts in the past have failed. One cabinet minister even had to resign. Few believe lawmakers will approve such a policy this time. But Hsu Tzu-mei, deputy director-general of the Ministry of Finance’s Taxation Agency, is optimistic. “This time will be different, because we are doing this in increments,” she said. The economic and political risks of not correcting the flawed property tax mechanism and making the system fair, is high, says Chin-Oh Chang, a professor of land economics and director of the Taiwan Real Estate Research Center at National Chengchi University. “Taiwan is already in a property bubble; this situation cannot continue,” said Mr Chang. “Young people will feel increasingly disgruntled, because no matter how hard they work, they can’t buy a home. “If the government doesn’t resolve these fundamental problems in the economy, then of course people will eventually want to change the political party in power,” Mr Chang said. Meanwhile, Chinese tourists are already showing interest in buying property here, despite restrictive rules. And some lawmakers are calling for the luxury tax to be cancelled, arguing it hurts economic growth. That makes many people, like Mrs Chiang, wonder if they will ever be able to buy a home. This entry was posted in Life and tagged Home, landlord, property market, real estate, Taipei, Taiwan, 台灣, 台北, 房地產, 房子. Bookmark the permalink.